Planning a first date (or any date, for that matter)? 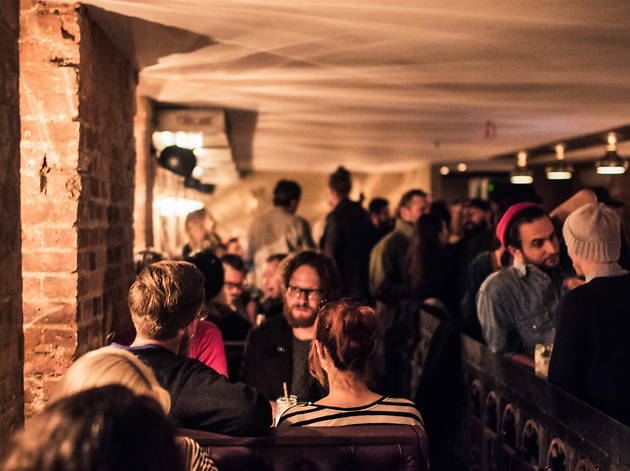 We've plucked out some London bars that are sure to impress. Yes, some of these bars are romantic settings, but mostly they’re all places that are damn cool and will make you look like you’ve got it going on. And even if that spark just sadly isn't there, we can guarantee you the drinks will make a great match. 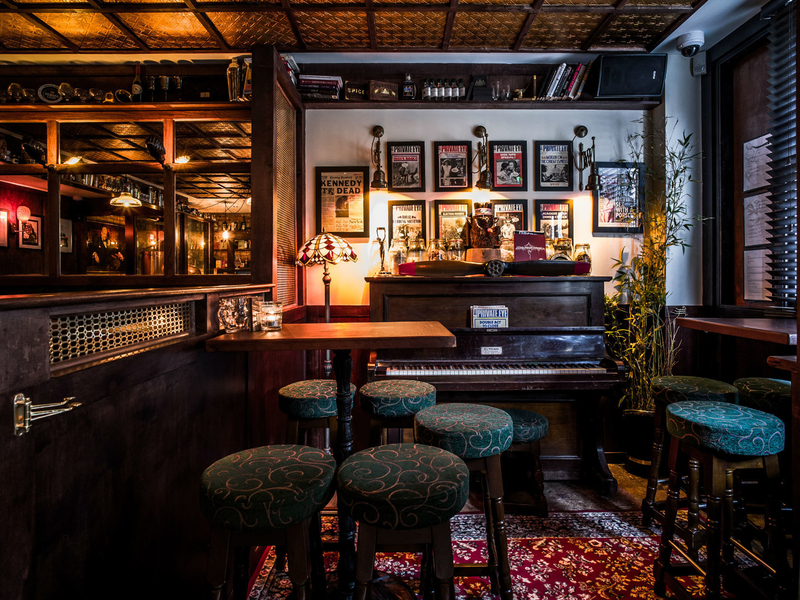 From dimly lit cocktail bars to character-filled watering holes, these places are perfect for a spot of wooing. No jokes about that street address, please. 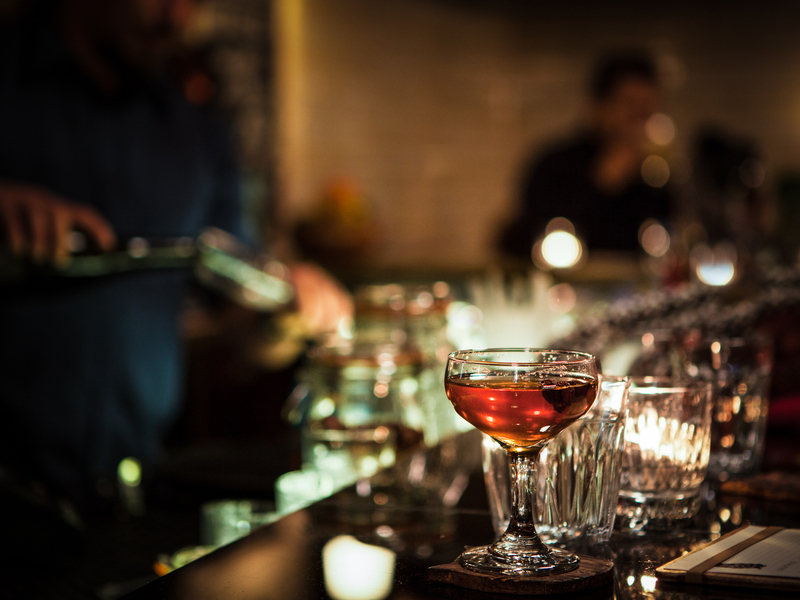 What better than a secretive tryst at 'The bar with no name'? 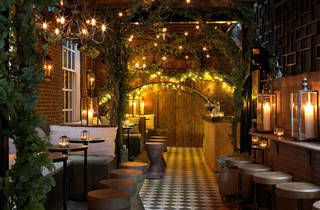 69 Colebrooke Row oozes jazz-age style and the cocktails are seriously impressive, all ingredients to help Cupid strike in this backstreet bar in Angel. 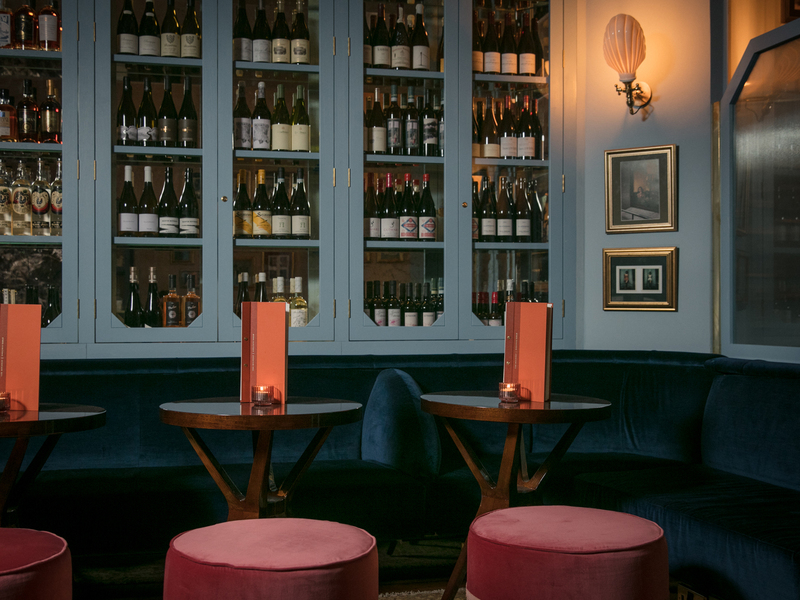 The French are meant to have written the book on love, so how about a trip to Brasserie Zédel's Bar Américain. Prices are reasonable, art deco decor sets a sophisticated tone and a short, simple list of classic cocktails means you can get straight down to business. A dark and moody speakeasy is given a bright and modern twist with a pun-filled menu of cocktails that will get you and your chosen one giggling. The buzz of chatter in the room helps take the pressure off if it's date number one, too. 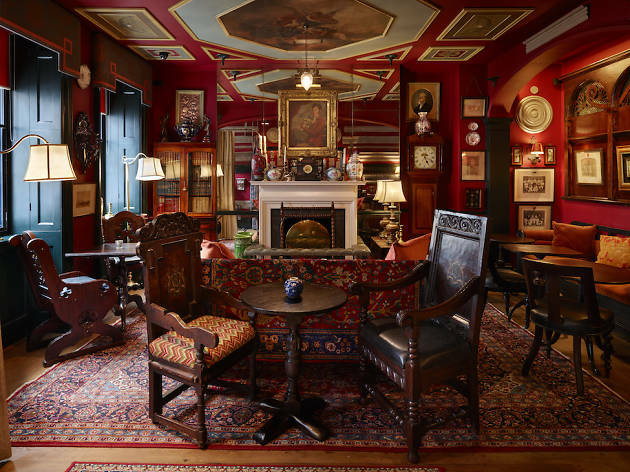 A gorgeous bar, inside and out, get along to Bloomsbury Club Bar for cosy encounters. Indoors is a plush, wood-clad den with live jazz the backdrop to you putting on the moves. 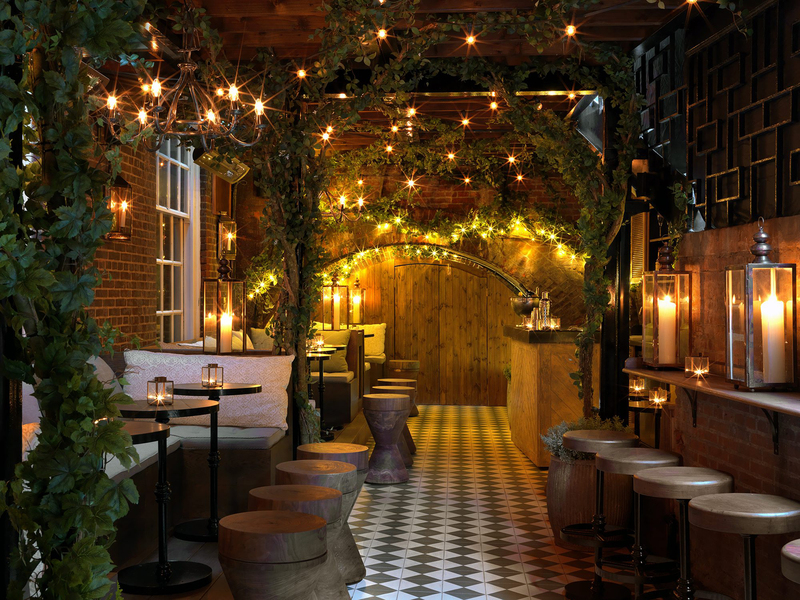 Or take things to the terrace – a twinkly, vine-clad space fit for a ‘Midsummer Night’s Dream’ of your own. 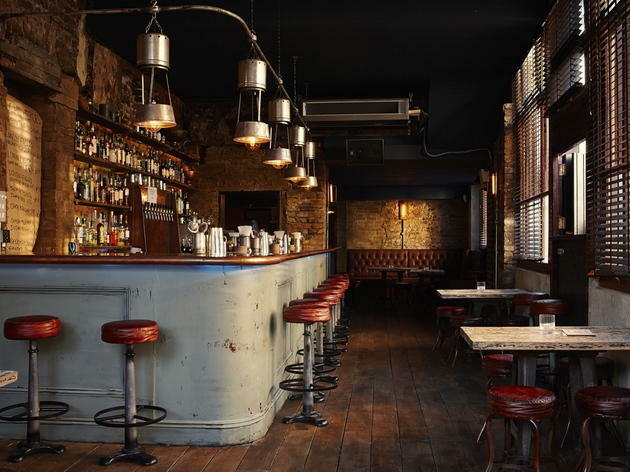 Cocktails are served with golf balls as ice, with teeth floating in them and even aflame at this bar on Bethnal Green Road. 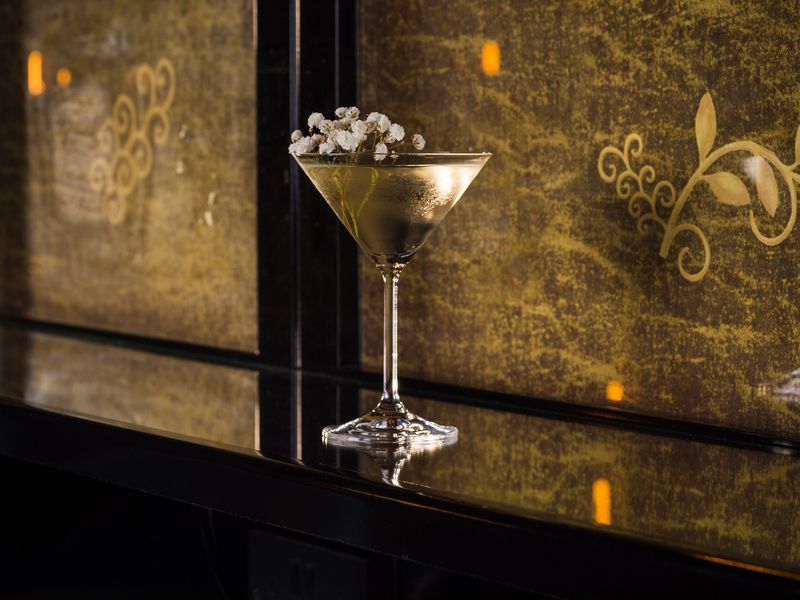 The theatre of drinking at CTC will be enough to keep the conversation flowing, but for any awkward pauses, they often have a pianist tinkling slow jams on the ivories. Okay, it’s another French bar. But don’t expect us to come over all corny on you. 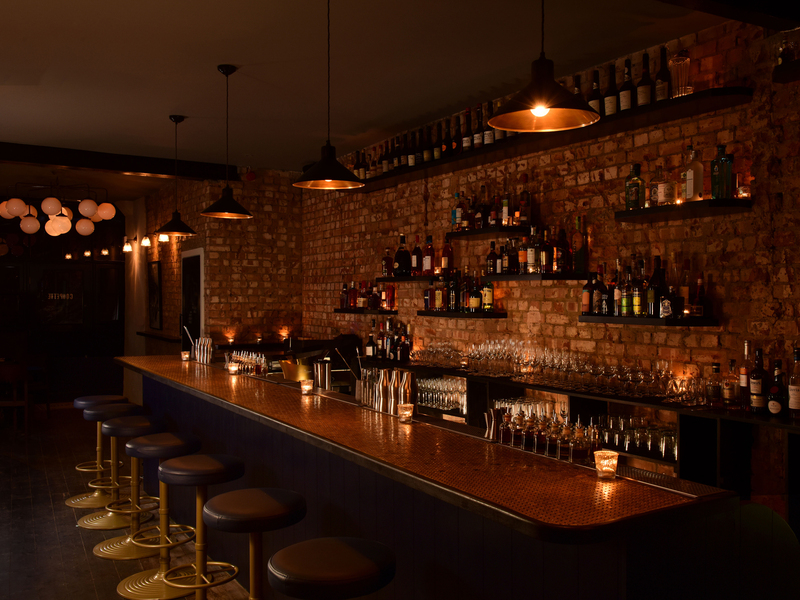 This is a stripped-back hangout with a hip edge, slick service and drinks to add some sparkle to date night. And fancy cocktails paired with croque monsieurs are also a match made in heaven. 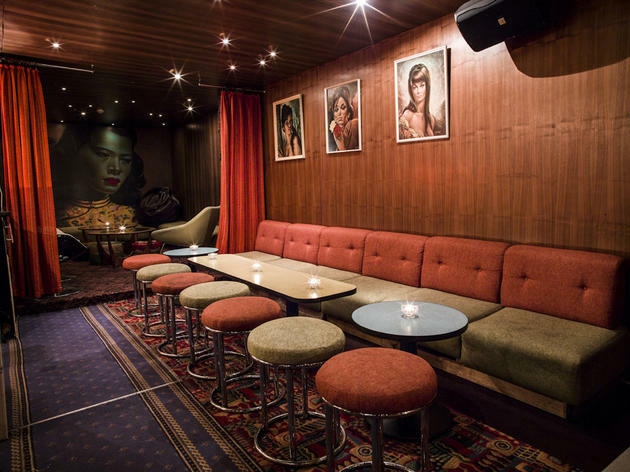 This hideaway den in Soho is said to stand on the site where John Profumo would bring his date Christine Keeler. 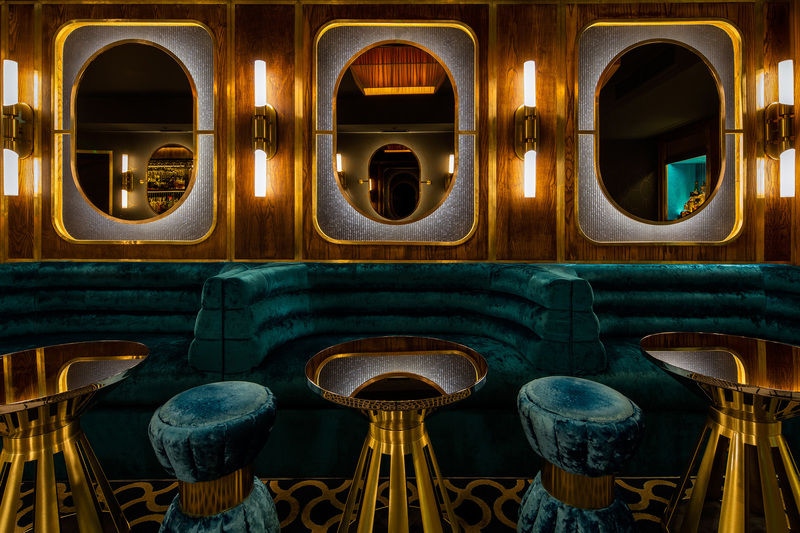 Under its current guise as Disrepute, plush, crushed velvet furniture and plenty of booths for slinking into provide the setting for dates with a little less scandal, we hope. Sometimes, simply batting your eyelashes isn’t enough. Show off your other batting skills at Doodle Bar on one of their many ping pong tables. You can also arm yourself with chalk and take to blackboards that cover the walls. Sketches of love hearts may be a bit keen, though. This sharply turned-out bar is on the first floor of a pub and is dressed as a gorgeous salon of pastel pink and baby blue. Plush, velvet furniture definitely assists those looking to cosy up, while a stylish screen sections off half the room for more intimate gatherings. 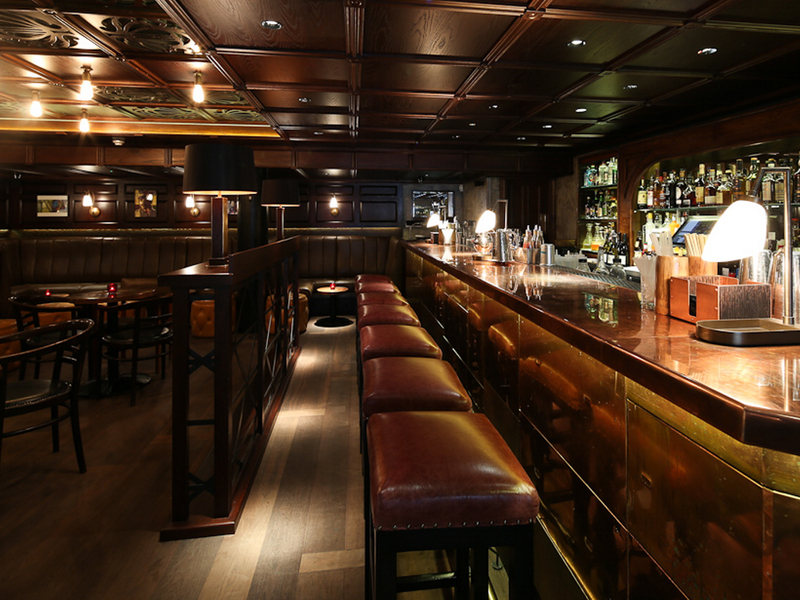 If the romance proves to be overkill, make a move to the downstairs pub for posh grub and pints instead. 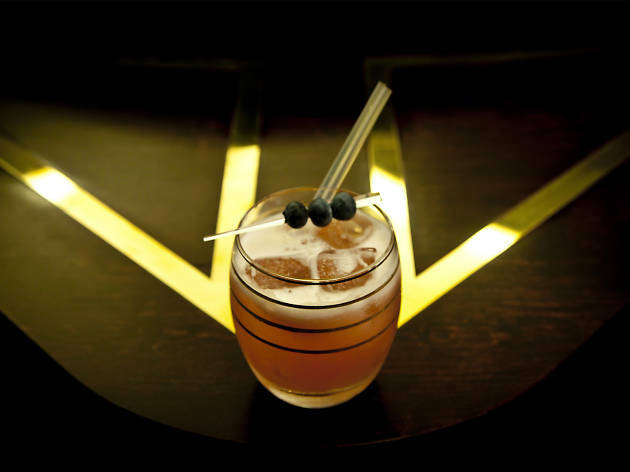 Naughty drinks in this dark basement den will crank up the heat dial to 100. 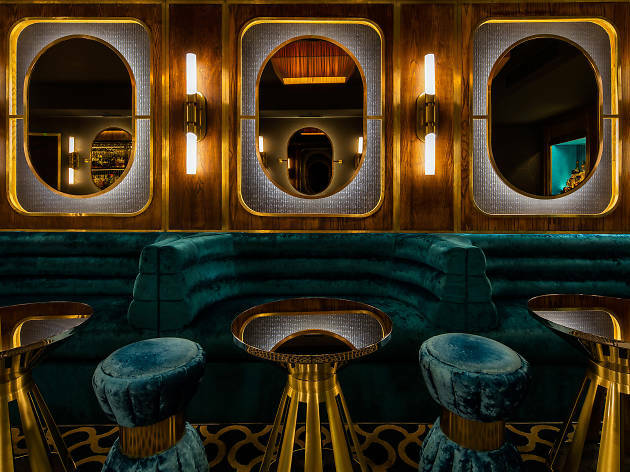 Find a little booth to gaze across the candlelit table, or flaunt your prowess on the free pool table in some kind of moderrn courtship display. Damn, girl. The low lamps and the warm glow of flickering tealights at The Owl make you look seriously good. Like, movie star good. This is third date territory in our book. Start with steak dinner in Foxlow restaurant upstairs and then, if it goes well, slide into a leather booth down here for afters. Not sure on the recipe for love? 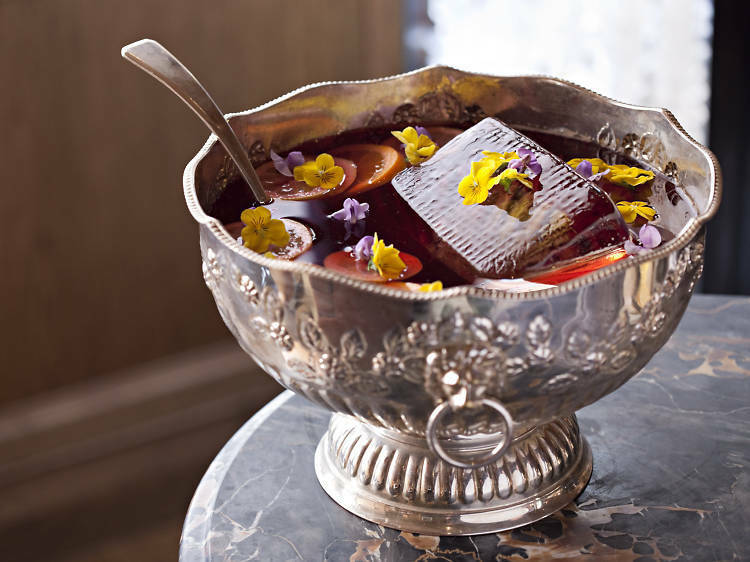 The Punch Room have nailed the recipe for punch, at least, in a sophisticated wood-clad spot lit by the glowing embers of an open fire. 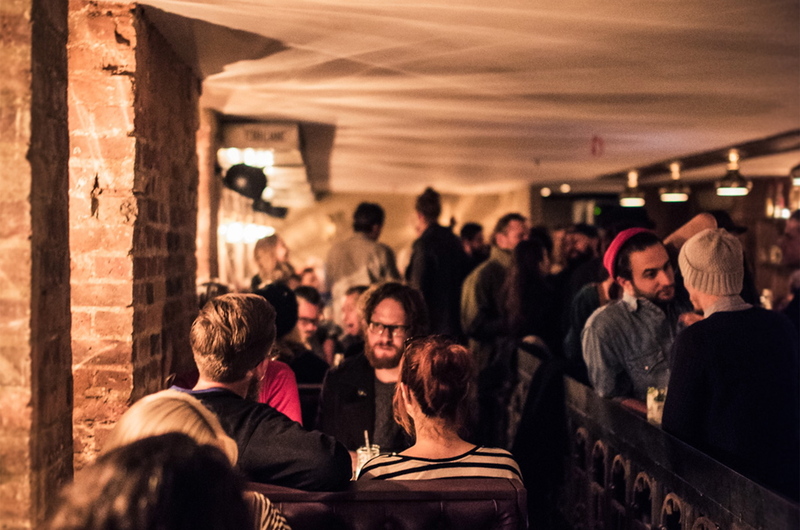 It's a fashionable bar that'll definitely make you look like you're in with the in crowd. 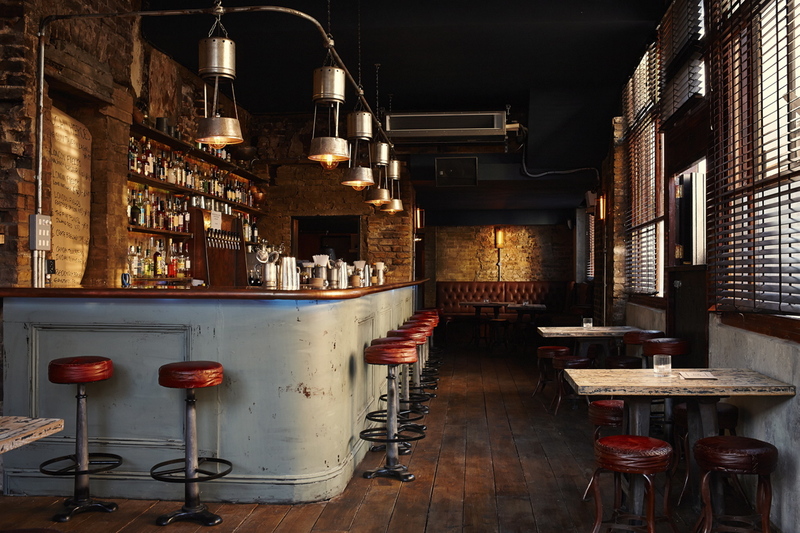 What was once a down-and-out pub is now a sweet watering hole on the King’s Cross Road. The surprise factor of it all makes it ideal for impressing your suitor. A log burner and tall-backed armchairs give a rear room serious cosy clout. 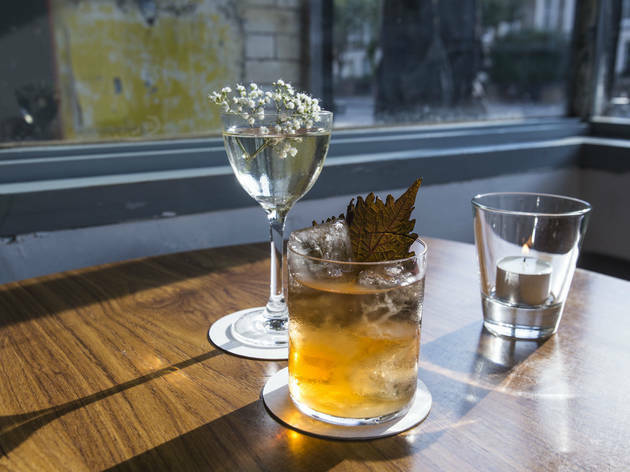 Beyond is a neat, walled garden for sweet summer sipping. Share a cheeseboard if you’re really pulling out the stops. 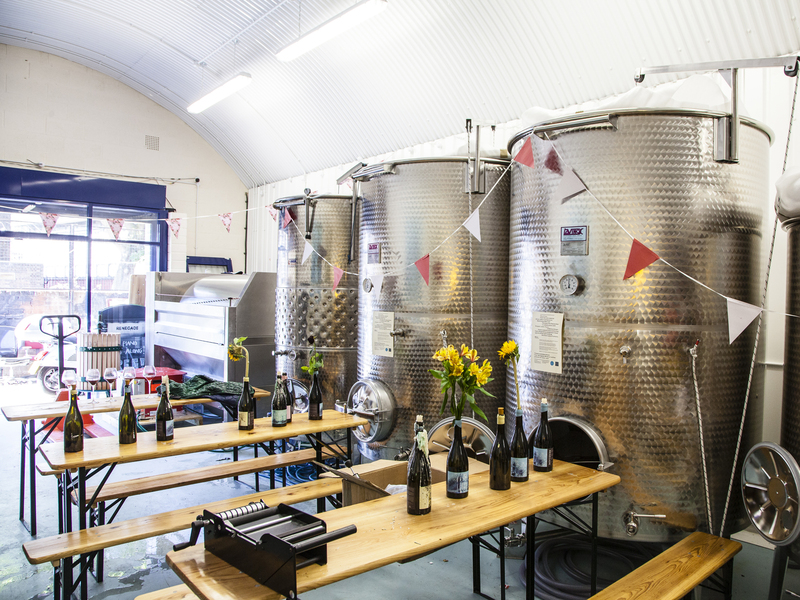 If the pong of wine aging in the barrels nearby doesn’t act as a natural aphrodisiac, the rustic feel of this urban winery down a Bethnal Green alleyway may just do the trick. By night, it's lit by candlelight and attracts a local crowd of cool, young wine buffs. Sip on the house chardonnay or bacchus or get rosy-cheeked on sparkling rosé in this very sweet setting. 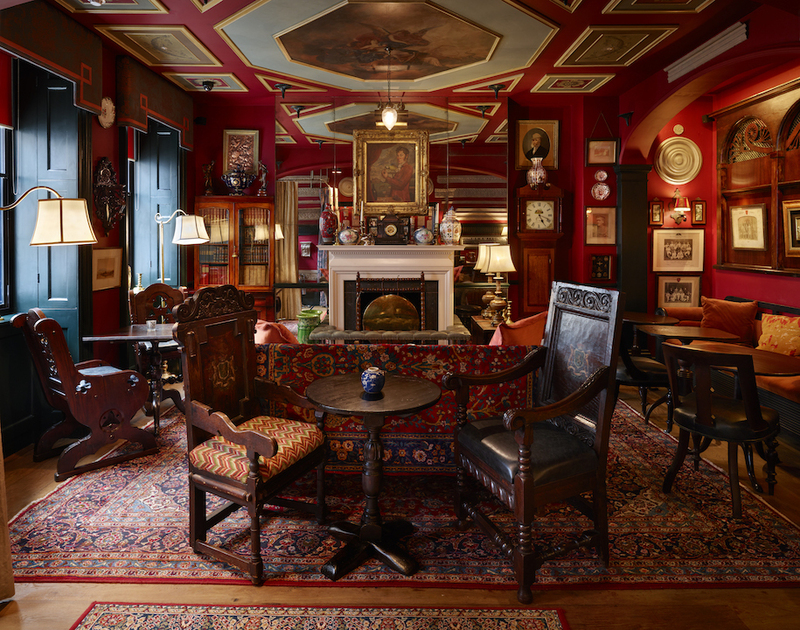 If prying yourselves away from a night of Netflix requires real determination, try plonking on a sofa at home-away-from-home Seymour’s Parlour (I mean, if your home is actually real fancy). It’s a singular setting for cocktails. And is it sleazy of us to point out that there are boutique hotel rooms up above? Venue says From just £33 per person, our award-winning afternoon tea is a must try! Not your traditional bar for a date, Sun Tavern offers an ideal alternative if you're scared of pulling out the clichéd stops. The east London location and obscene collection of Irish spirits will make you look like one cool kid, and you can easily find yourselves a darkened corner fit for any date. The bright and beautiful Italiano setting up above is a low-pressure hangout where you can enjoy oysters and aperitivi without looking like a try-hard. Should it be going well, take date night downstairs to the moodily lit cocktail lounge and whisky bar below. It's a smouldering spot. Hidden below a Chinese joint in Soho is this speakeasy-bar-meets-tea-room. 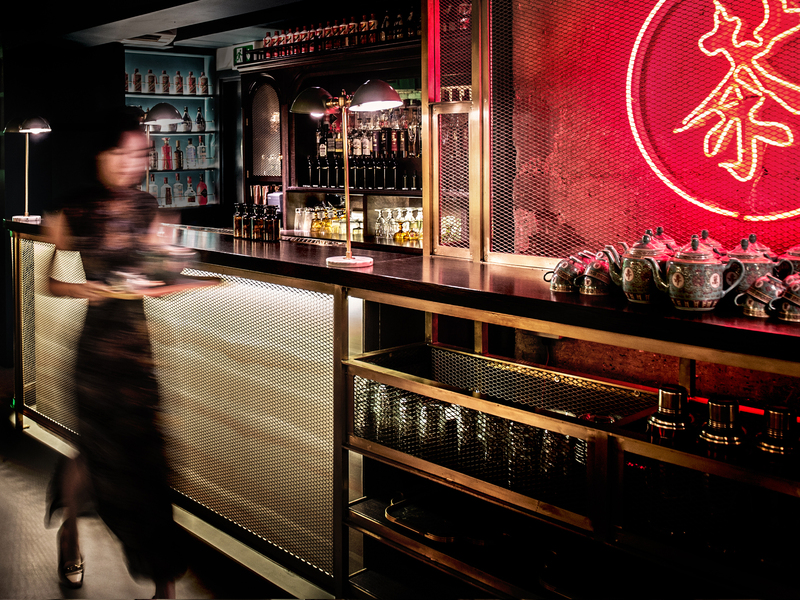 It’s lit by the glow of Cantonese lettering in green neon, which bounces off luxurious red drapes, creating a look said to have been inspired by Wong Kar-wai’s ‘In The Mood for Love’. You’ll definitely be in the mood after one or two cocktails made using China’s national spirit bajjiu. 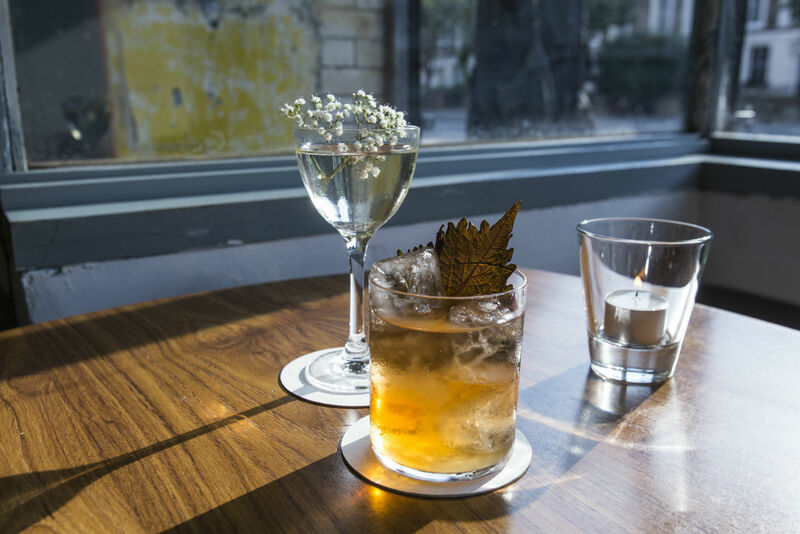 Flickering candlelight, steamed-up windows and tiny tables fit for two; date night comes to Dalston. 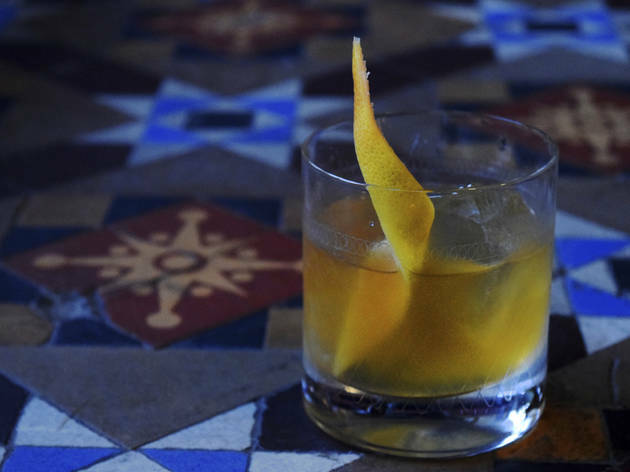 Cocktails here are nothing short of a revelation, and the young crowd are low-key and cool. Three Sheets best suits drinking after dark, but you could just as easily swing by during the day for light, bright cups of coffee. Who doesn't love a cheeky Tiki date? Inject some silliness into your night with piña colada cocktails and a modern take on Polynesian drinking. 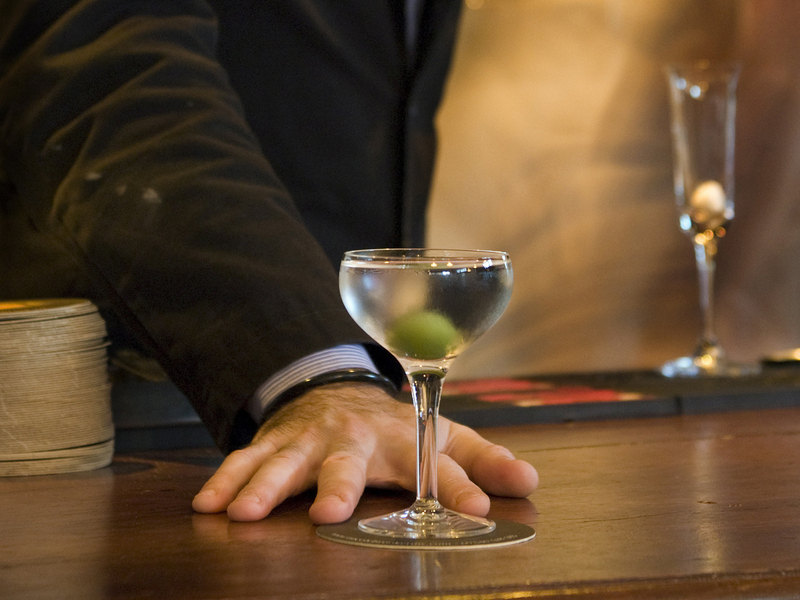 The bar staff are flirty and friendly, so if it's a disaster, at least you can turn your attention elsewhere.